Frequently-asked questions and answers. If you do not see the answer to your question here, it may be because the answer is in another section of the admissions page. You may always email smtd.admissions@umich.edu for an answer to your query. Do I have to apply separately to the University of Michigan? No, admission to SMTD comes with admission to the University of Michigan. No, both undergraduate and graduate students must apply online. What is the UMID? How do I get one? A University of Michigan ID number is assigned to you when you register as a prospective student or when you apply to the University. You don’t need a UMID to complete the application, but if you already have one, by all means use it. I’ve already submitted my application. How can I change what I’ve submitted? 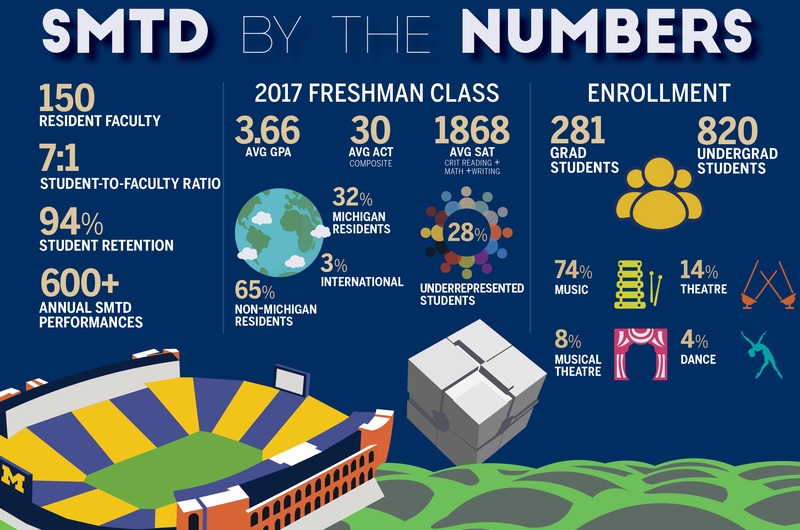 If you need to make changes, email smtd.admissions@umich.edu. The application deadline is here. May I still apply? What if a document arrives late? December 1 is the application deadline for admission and merit-based award consideration for all undergraduate and most graduate programs. For some programs there may be a short grace period to accept late documents. Complete applications consist of the online application, all transcripts, any required test scores, essays or personal statement, recommendations, and an Artistic Profile. We understand that recommendation letters may not come in until after the deadline, but we will require that all have been received before making an offer of admission. After the deadline, we may accept late applications at our discretion if space remains. What is a Friend Account? How do I get one? 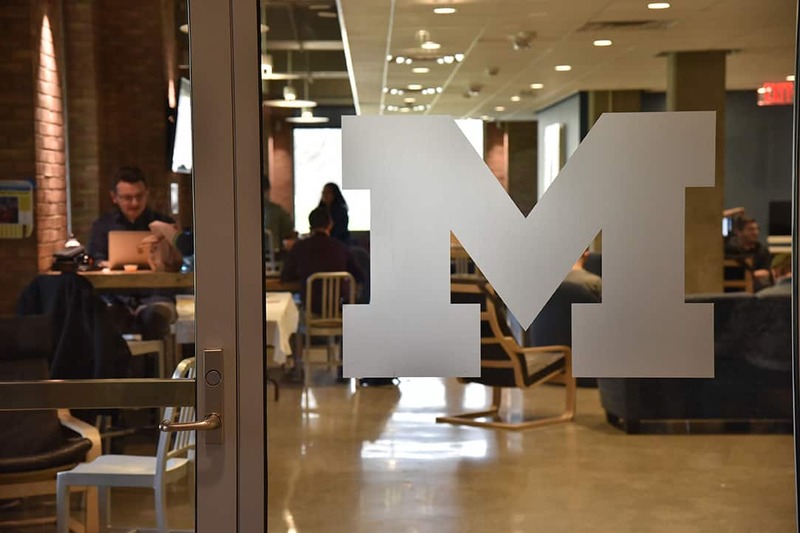 A Friend Account is an online account that allows you to log in to Wolverine Access for the purpose of tracking your application status, your financial aid information if applicable, and updating your contact information. One to two days after you have submitted your online application, you will receive an email message with instructions on how to create a Friend Account. What’s the difference between the various bachelor’s degrees? 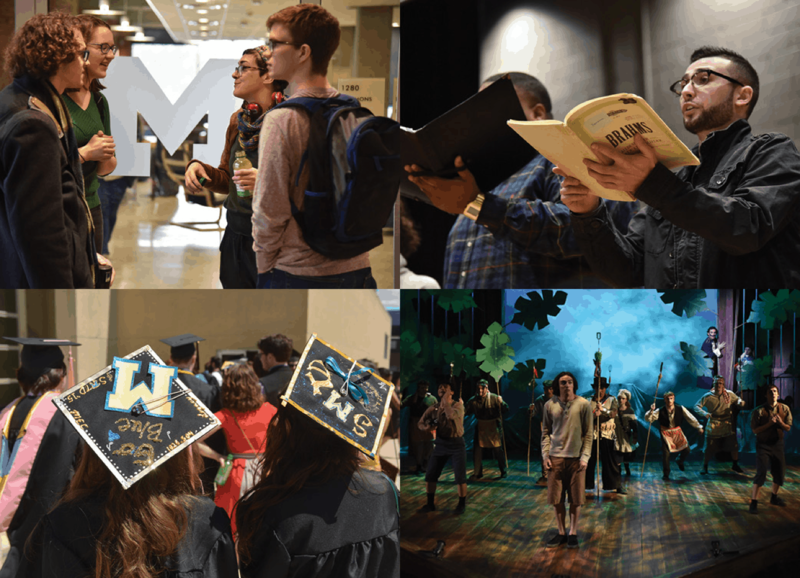 One of the strengths of the School of Music, Theatre & Dance (SMTD) is the diversity of programs available to undergraduate students. Here are the various undergraduate degrees that the school offers. The Bachelor of Music provides intensive artistic training and preparation within a concentrated musical field. The BM is offered in Composition, Music Education, Music Theory, Musicology, Performing Arts Technology, and Performance. Approximately 75% of the coursework of the BM is in music, while the remaining 25% is completed in other areas. The Bachelor of Musical Arts is a four-year professional degree with a larger commitment to the liberal arts. Within the BMA, concentrations are offered in performance or multidisciplinary studies. The performance concentration allows a student to pursue either jazz or classical performance along with a mixture of outside academic coursework. 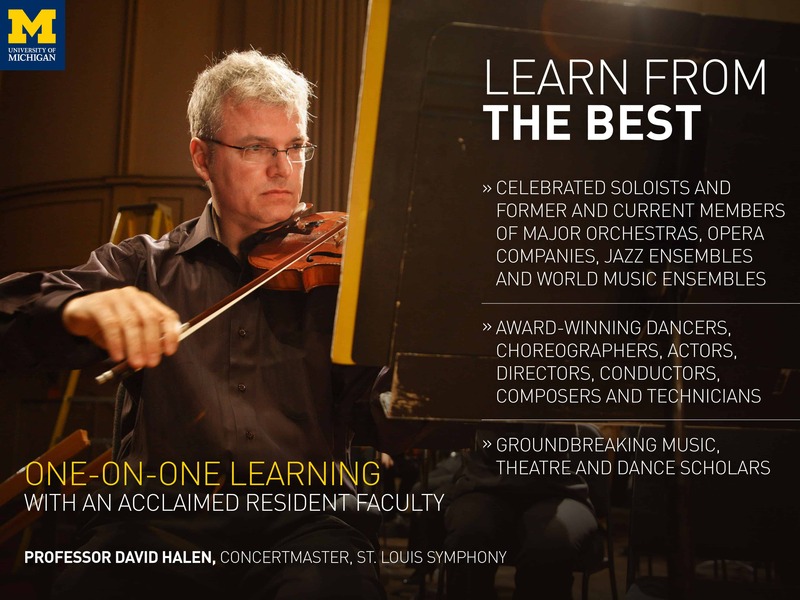 The multidisciplinary studies concentration allows students the flexibility to pursue academic coursework—within SMTD and in other departments across the University—which is tailored to each student’s specific musical and non-artistic interests. Approximately half of the coursework required for the BMA degree is based in SMTD with the remainder based in liberal arts courses. The Bachelor of Fine Arts offers professional coursework for an intensive concentration. The BFA is offered in Acting, Dance, Design & Production, Directing, Interarts Performance, Jazz, Musical Theatre, and Performing Arts Technology. A majority of the coursework for the BFA is based in the major concentration with the remaining coursework based in other areas. The Bachelor of Theatre Arts is designed for students seeking a well-rounded, substantive theatre education within the framework of a solid liberal arts education. The BTA is not a performance program but is designed for students who want to pursue careers in areas such as production management, arts administration, dramaturgy, or teaching. The Bachelor of Science is offered in Sound Engineering with a rigorous professional training in acoustics, the physics of sound, sound engineering, computer science, and sound recording. Because of the academic rigor of this program, there are higher academic expectations than in other music programs. Students have the option to pursue a dual degree program with another school or college within the University. Dual degree programs are intended for students who seek the technical or academic studies associated with the College of Engineering or the College of Literature, Science, & the Arts in combination with the professional training in performance-based or academic music studies associated with SMTD. Students interested in these programs can seek concurrent admission to both colleges. If successful, their programs of study lead to stand-alone bachelor’s degrees from each unit. It is usually possible for students electing 16–17 credits per term to meet all requirements in 5 years. Does SMTD offer Early Action for admission? No. While Early Action is available at several other U-M schools and colleges, SMTD does not offer Early Action. If I apply as a Dual Degree student to a U-M school or college that has Early Action, will that apply to my SMTD application? No. While you will be considered for Early Action at the other school or college, your SMTD application will follow the Regular Decision timeline. My program of interest has an October 15 deadline for early applications. Does this mean I’ll hear back sooner about whether I’m being admitted? No. Some programs, such as Dance, have early audition dates for which we need students’ application materials earlier but it does not otherwise have an impact on the admissions timeline. For Musical Theatre applicants, those who apply by October 15 will receive the results from their pre-screening and academic review by November 15, but the rest of the admissions timeline will remain the same. I would like to audition for the Michigan Marching Band. 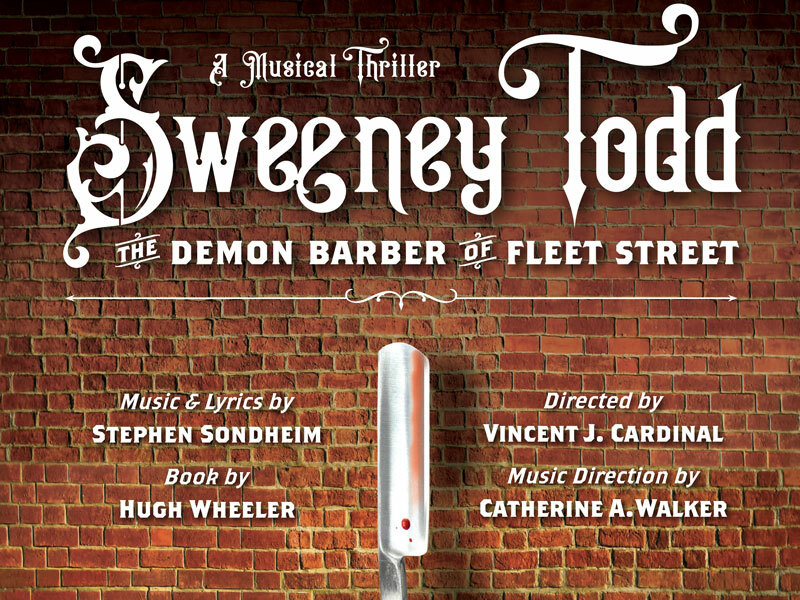 How do I schedule an audition? 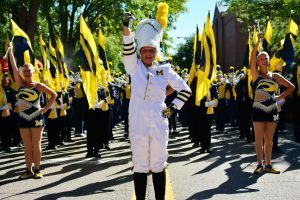 The Michigan Marching Band is an ensemble open by audition to any student at U-M. New freshmen typically audition on the last day of their orientation session during the summer. Please contact the Michigan Marching Band directly to learn more about their audition process. If I was previously enrolled at SMTD but left before obtaining my degree, can I continue my degree program? Any continuing degree-seeking student who has not been enrolled for twelve months or more must apply for readmission. If you are seeking readmission at the same degree level, the application fee is waived. Please submit an official transcript of all work completed since your previous enrollment, along with the application, an updated resume and repertoire list (if applicable), and a personal statement outlining concrete plans to complete your degree. For more information and to start the process, please contact SMTD Admissions.